PREHEAT oven to 450ºF and place a mini muffin pan* in the oven, on the middle rack while oven preheats. COMBINE eggs and milk in a large bowl and whisk until frothy, about 1 minute, or you can use a blender to mix. Add flour and salt, whisk vigorously to blend until evenly combined, or add the flour and salt directly to the blender at this point if using. If you are hand whisking, it’s ok if there are a few lumps. REMOVE the hot popover pan from the oven and lightly coat each of the wells with pan spray. Fill the wells about ¾ full of batter and top each with the shredded apple and cheese, distributing as evenly as possible. REMOVE from the oven and turn popovers out of the pan. 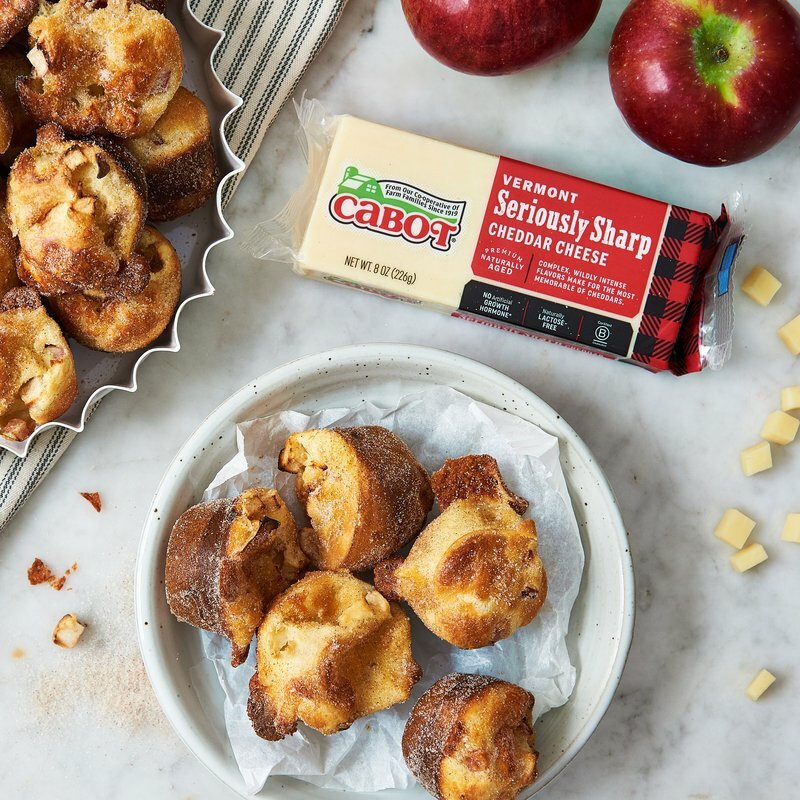 Toss popovers in cinnamon sugar mixture and serve immediately.